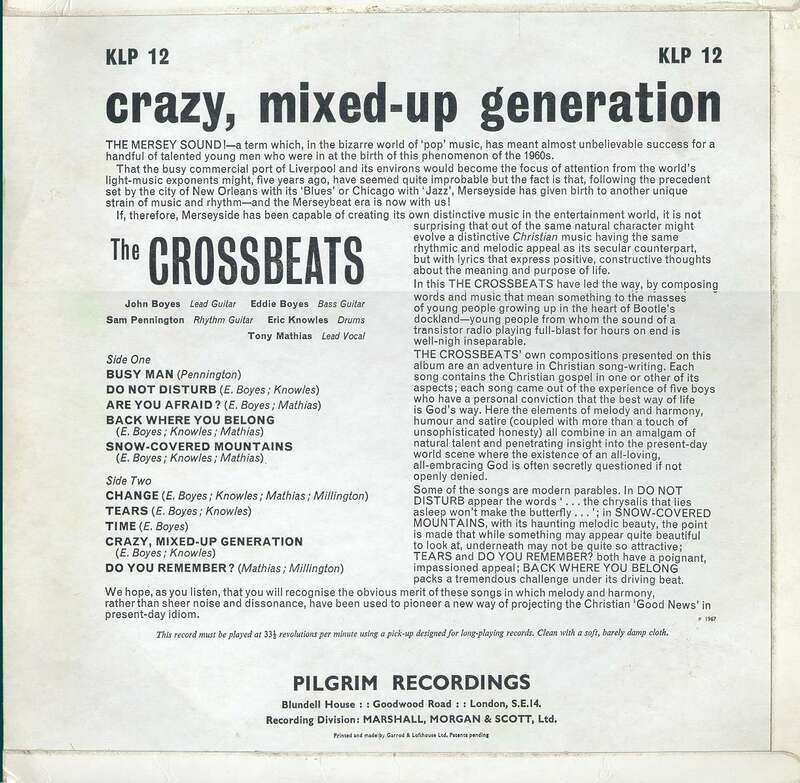 The crossBeaTs LP was recorded in CBS studios, New Bond Street London, on 7 & 8 April 1967. After the first singles' rather "tinny" sound in Hollick & Taylor Studios, Grosvenor Road Birmingham, the group managed to persuade Pilgrim Recordings (based at Blundell House, Goodwood Road, London SE14) to book the CBS Studios in New Bond Street, London. We were told while we were there that this was the studio used the week before by the "Hollies". 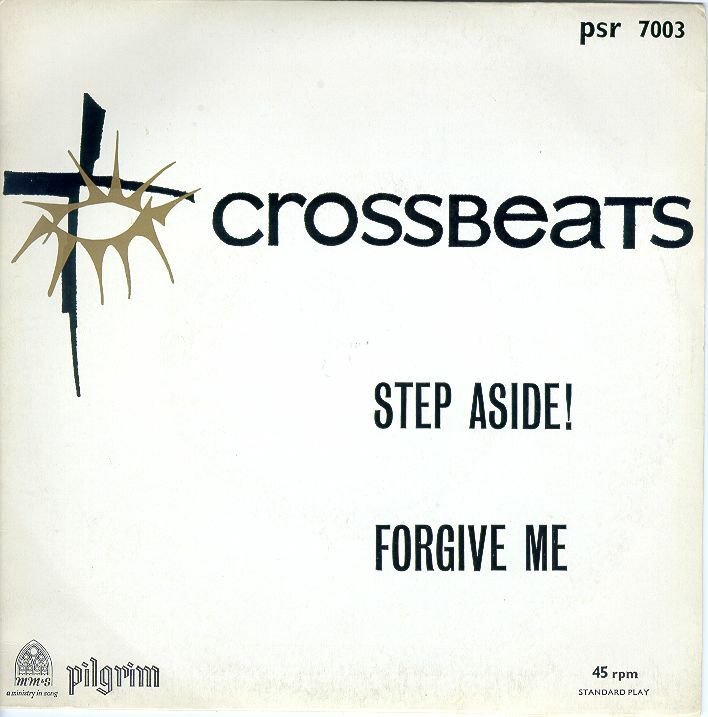 In all, 12 tracks were recorded, 2 for a single release in June 1967 (Step Aside/Forgive Me) and the other 10 for the LP in September 1967. Some reviews of the LP are available on this site. See also the e-mails below. 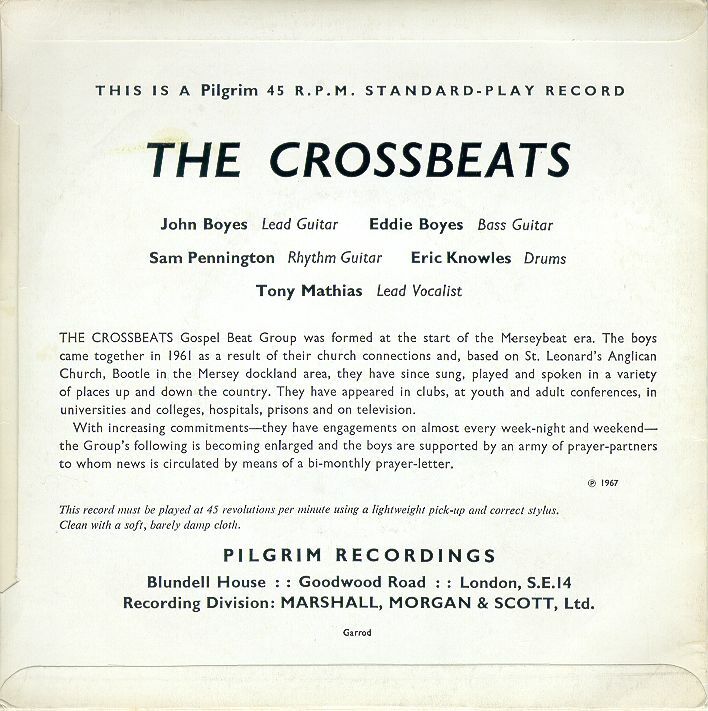 Tom Cooper played Hammond organ on two of the tracks at this recording session, "Forgive me" and "Do you remember?". Tribute must aslso be paid to John Banner for persuading Pilgrim to take the financial risk of going for CBS, and to Frank Waller (of Pilgrim) for taking the plunge in this way, and for coping so well with such an indisciplined group of 'scousers'. In January 2003, I received some e-mails from John Pearson (15 years old). This one has been edited slightly. Thank you so much for replying to my email (edited). I assure you I am genuine (in asking for the chord sequences to songs - previous e-mails) and am a great fan of your music. The chord format you described was exactly what I'm looking for and when I've decided on the songs I want (if it's not too much trouble) I'll email them to you. I only want the general chords and key nothing fancy. I wondered if it was you because you havn't credited the websites to youself (edited) seeing as you write from the perspective of the narrator and not from your point of view. 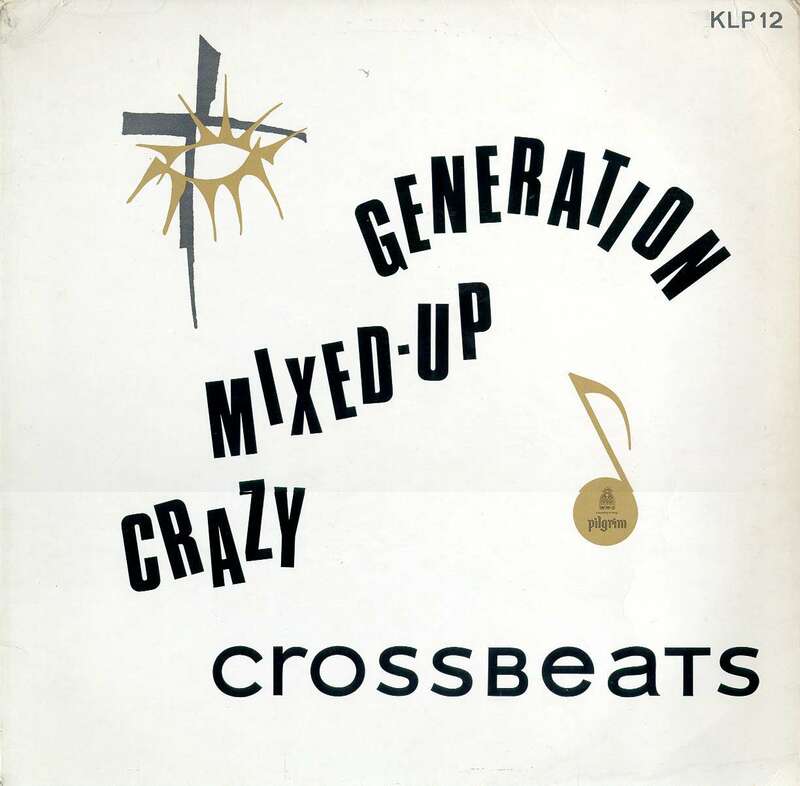 I first became interested in the Crossbeats when I found my dad's copy of your LP and was fascinated by the 'mersybeat' sound (I later became interested in the Beatles but have come to realize you can't beat the great meaning of good Christian music with the secular sscene). Being the younger child in the family, I managed to warp the record and was subsequently without a copy. This was until I found one in the strangest of places. I was walking round a big multi-story antiques warehouse in Gloucester Docks. My family were fed up of me having turned out all the old record boxes (I am a great fan of earlier sounds, unlike my peers). I walked into what was the last shop only to see that, displayed with various secular artists on the wall in the carefully chosen display racks, was your LP. I proceeded to split the cost whith my dad (who was eager to replace his warped copy). It cost us £10. Sorry to bother you with my 'waffle', I'm just amazed I can be in contact with you. Good to know you're involved in youth work, so am I (I play guitar). Me and my dad were curious to know why you never released anything futher than the LP. Perhaps you coul enlighten us. Thanks so much for your time. I'll get back to you about those songs, but in the meantime could you send me your adress. I live in Birmingham and would love to buy the cd's.